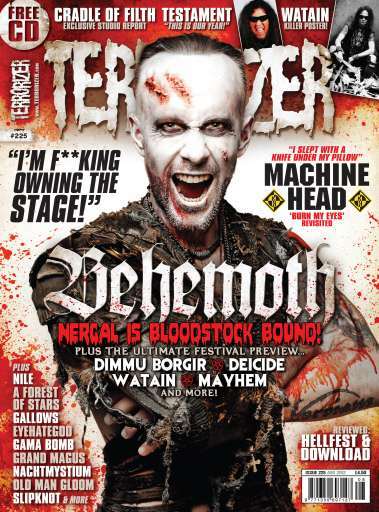 So, the Summer hasn't treated us as well as we'd hoped, but why worry about the weather when there's still plenty to look forward to when there's this sparkling new issue of Terrorizer, which is lovingly crafted to accompany you to this year's Bloodstock Open Air? Check out our three-page Bloodstock guide inside so you don't miss a thing. Behemoth frontman and this month's cover star Nergal has been through it all lately, he has stared death in the face and triumphed and he's now back on the road, destroying stages worldwide and Bloodstock is next. 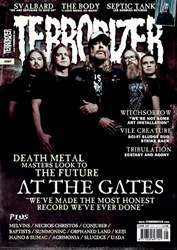 We also get back to nature with Grand Magus, find out why 2012 is the year for Testament and just why exactly Nachtmystium have taken a long hard look at their roots. We also speak to Nile, Om, Old Man Gloom and A Forest Of Stars. We round up this year's Hevy festival in a handy two-page guide and there's a heck load more features to feast upon. 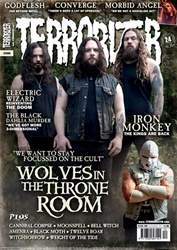 Plus a shed load of album reviews, plus our Download and Hellfest reviews. Pick up your copy of issue 225 now!